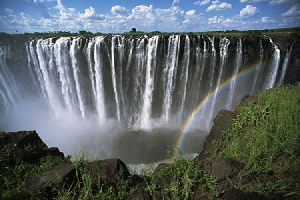 Located on the Zambezi River, the mighty Victoria Falls is one of the seven natural wonders of the world. With sights that are guaranteed to leave a mark one's soul, the Victoria Falls, known locally as the Mosi-oa-Tunya (Tokaleya Tonga: the Smoke that Thunders), is one of two World Heritage Sites on the Zambezi River. 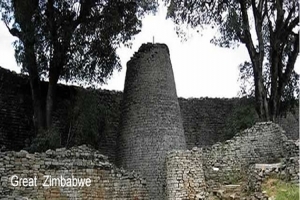 The Great Zimbabwe is an ancient city in the southeastern hills of Zimbabwe near Lake Mutirikwe and the town of Masvingo , close to the Chimanimani Mountains and the Chipinge District. It was the capital of the Kingdom of Zimbabwe during the country's Late Iron Age. The Balancing Rocks are a geological formation found in the township of Epworth, Southeast of Harare, the capital of Zimbabwe. It is a formation of rocks perfectly balanced without other supports.The Mother and Child balancing rocks are a well-known feature in Matobo National Park. Visit Harare the capital of Zimbabwe. Known as the Sun Shine City, Harare boasts of being the most vibrant and culturally diverse city on the African continent. 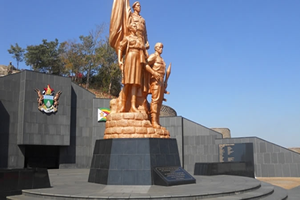 National Heroes Acre or simply Heroes Acre is a burial ground and national monument in Harare, Zimbabwe. 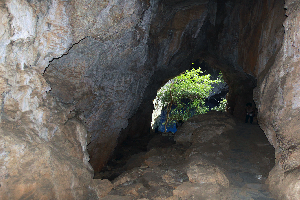 The 57-acre site is situated on a ridge seven kilometres from Harare, towards Norton. Zimbabwe Mining Development Corporation (ZMDC) was established by an Act of Parilament No. 31 of 1982. This beautiful part of Zimbabwe includes three distinct mountain areas. 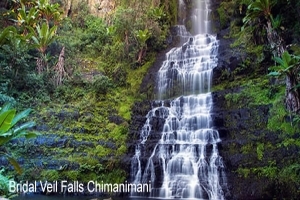 All are paradises with waterfalls, streams, rich vegetation and wild life, and each is subtly different. 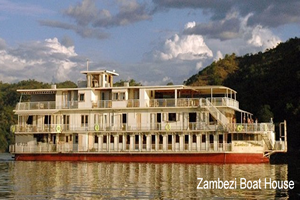 A variety of hotels, lodges and cottages are available. 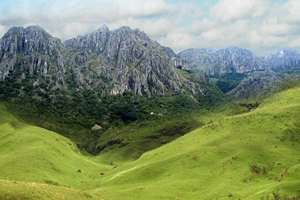 The Nyanga Mountains stretch 60 km north of Juliasdale. 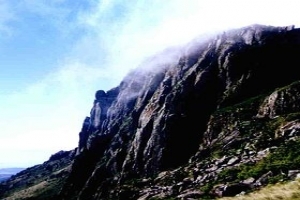 Zimbabwe’s highest location is here…..Mount Nyangani with an altitude of 2592 metres. 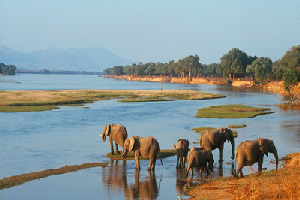 Zimbabwe is blessed with a rich variety of animals, including the Big Five.Due to the abundance of wildlife , visitors to the country's National Parks are guaranteed to catch a glimse of animals such as Zebras, Lions, Elephants ,Girrafes , Leopards and Crocodiles etc. A warm welcome to the official website of the Embassy of the Republic of Zimbabwe in New Delhi .This website provides you with valuable information about the Republic of Zimbabwe, its people, its institutions and its vibrant economy, as well as practical information about traveling and doing business in the Republic of Zimbabwe. 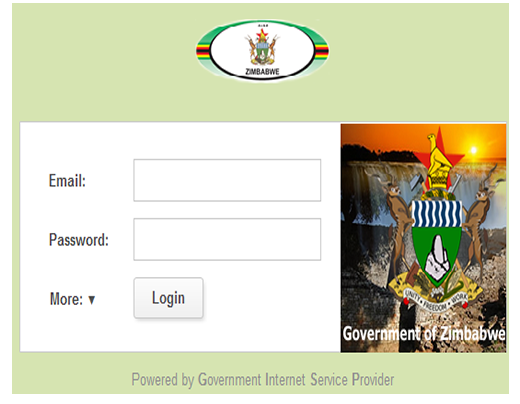 This serves to advise that the Zimbabwe Government has launched an E-VISA APPLICATION AND PROCESSING PLATFORM that is accessible on www.evisa.gov.zw. 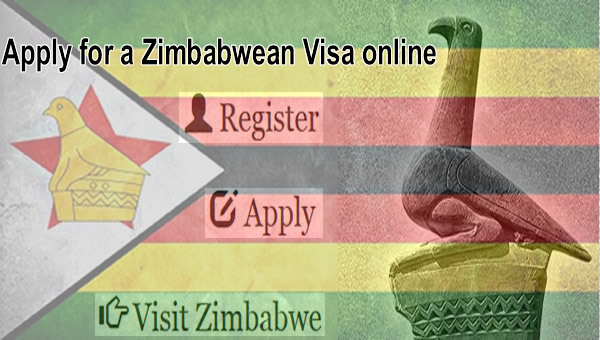 With immediate effect, applicants for Zimbabwe visas are now required to submit on-line visa applications DIRECTLY to the Department of Immigration Control in Harare, Zimbabwe, on the Website Address given above. 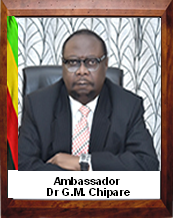 The Embassy will be closed in observance of Zimbabwe Independence Day. 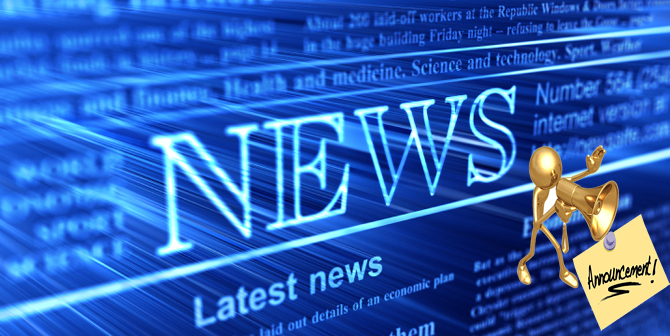 The Embassy will be closed in observance of Workers' Day. The Embassy will be closed in observance of Heroes' Day. For a full list of closings, see Public Holidays. The (.gov) webmail facility offers a rich set of secure features and is at par with the best in the world.Click below to login or contact us to sign up. Zimbabwe is a beautiful country in Southern Africa that is known for its dramatic landscapes, its diverse wildlife and its hardworking people. Home to the Great Zimbabwe Monument, the mighty Victoria Falls and the majestic Eastern Highlands, the country also boasts of world class national parks in which a variety of animals, including the Big Five, can be found. 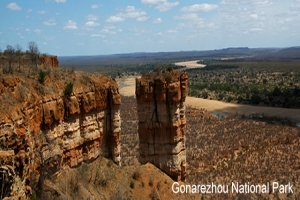 The largest of these are Hwange National Park in the west, and the Gonarezhou Transfrontier Park in the South. Zimbabwe has a total land area of 390 000 square kilometres and a well educated population of around 14 million people..
Joshua Mqabuko Nkomo Airport is located 20 kilometres east of Bulawayo, the second largest city in Zimbabwe. Renamed after one of the founders of Zimbabwe Dr J M Nkomo, the airport is the gateway to the City of Kings and Queens as well as to world heritage sites Khami Ruins (ancient architecture) and Matobo Hills (bold beads). It also caters for regional traffic. The runway is 2588 metres long and 45 metres wide. The airport operates 24 hours per day. Victoria Falls Airport is located 21 kilometres from the Victoria Falls Town Centre. 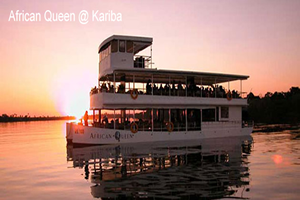 It provides direct access to the Seventh Natural Wonder of the World and Heritage Site Mosi-oa-Tunya on the River Zambezi, also known as the magnificent Victoria Falls. The runway is 2286 metres long and 30 metres wide. The airport operates 12 hours per day. 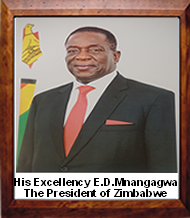 In order to achieve accelerated economic growth and wealth creation, the Zimbabwe Government formulated a new economic blueprint known as the Zimbabwe Agenda for Sustainable Socio-Economic Transformation (Zim-Asset); October 2013 – December 2018. Zim Asset was crafted to achieve sustainable development and social equity anchored on indigenization, empowerment and employment creation which will be largely propelled by the judicious exploitation of the country’s abundant human and natural resources. The economic blueprint, which is Result Based is built around four strategic clusters that will enable Zimbabwe to achieve economic growth and reposition the country as one of the strongest economies in the region and Africa. The identified clusters are Food Security and Nutrition; Social Services and Poverty Eradication. 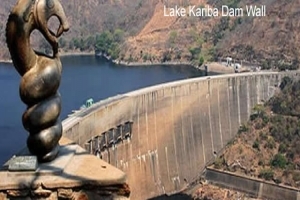 Infrastructure and Utilities and Value Addition and Beneficiation..
Zimbabwe is a famous tourist destination in Africa and boasts of a number of internationally renowned tourist attractions and a favourable year round weather condition. 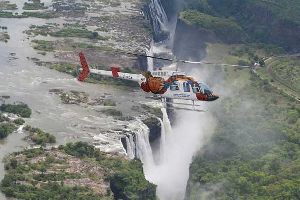 The best known and biggest tourist attraction in the Victoria Falls where Zambezi River plunges into 106 meter deep gorge which runs for 1.6 kilometres across the path of the river. 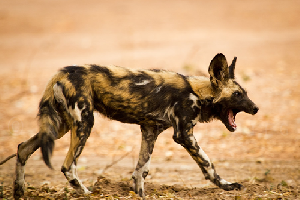 Other tourist attractions include the World Heritage site of the Great Zimbabwe Monument, Hwange National Park, Gonarezhou National Park, the mountains of Nyanga and Chimanimani in the Eastern Higlands and the historic Matopos National Park near Bulawayo. Victoria Falls, known by the local Kololo tribe as “Mosi oa Tunya” (The Smoke that thunders” is one of the Seven Wonders of the World” and one of the largest and most spectacular waterfalls on earth. 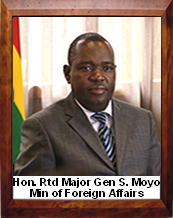 Copyright © 2015 Embassy of the Republic of Zimbabwe in New Delhi. All Rights Reserved.